Pizza can turn any occasion into a party! 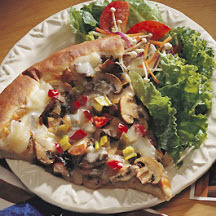 CooksRecipes has quality, kitchen-tested recipes for pizzas that you can count on for successful deliciousness. Golden sautéed onions, sliced mushrooms tossed in olive oil, thinly sliced deli roast beef and mozzarella cheese top a ready-to-use pizza shell. 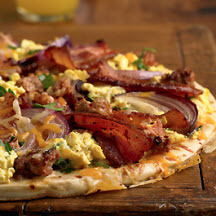 The sausage in this breakfast pizza can be replaced with ground pork, diced ham, or chorizo. Serve with fresh seasonal fruit to complete this family-pleasing breakfast. 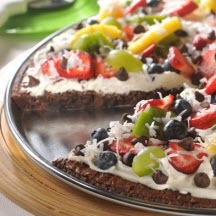 A perfect project at your child’s next sleepover or birthday party, this brownie pizza topped with fruit will be a hit with the kids.